Join Kelly for Bayside’s Wellness Institute. She’ll be discussing how to find balance in all aspects of your life, mind body and soul. This is a free event. All our welcome! National Pilates Day! Take a Mat Class and Celebrate with US!! Saturday, ay 4th is National Pilates Day! And we’ll be celebrating with a Pilates Mat class that Saturday morning! Wear you’re favorite Pilates gear, come ready for a fun class of strength and movement. We’ll have some healthy munchies and some giveaways! Space is limited so make sure to sign up on the app to reserve your spot!! Grab a glass of wine and a signed copy!!! Live in Balance Workshop. Learn how to holistically change your life style, eat intuitively, understand the supplements you should be incorporating, learn to establish a daily routine, learn Kelly’s beauty hacks for quick and easy self care. We’ll do a little raw food demo, learn how to make 2 yummy healthy recipes you can brag to your friends about! This workshop will work on developing, strengthening and deepening the pelvic floor muscles and core muscles. We’ll be using a new prop to help you train those tiny muscles to really work hard and stabilize again. This workshop is a small group, max is 7 people. Reserving your spot is highly recommended. Lori is a life healer, author and motivational speaker. She helps people all around the world find the best versions of who they really are while letting go of stigma and grief. She is a vegan, plant based and gluten free animal lover and advocate. Her site and blog are an assortment of positivity, laughter and fun. 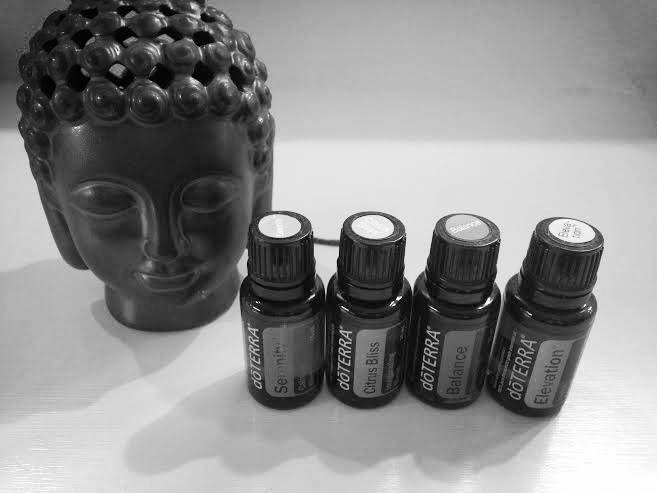 She firmly believes in the Mind, Body and Sprit connection as the benefits of balancing those three key elements. Join Tana for a midweek break that will restore your energy that will get your through the rest of the week. For 90 minutes you'll have the freedom to focus on what you really need. Grounding yourself through movement, connecting to Spirit through guided meditation & receiving the sound/vibration of the singing bowls amplifying healing and relaxation. During the sound experience you will be lying down. We will provide blankets but if you have any bolsters or blankets that you like to use to get comfy, bring them! Take a Pilates mat class just in time for happy hour! Stay for a glass of wine, a little bite to eat and a little shopping in the boutique! First 5 people to sign up for class will get a fabulous Beach Pilates and Wellness swag bag! Class fee is $25. 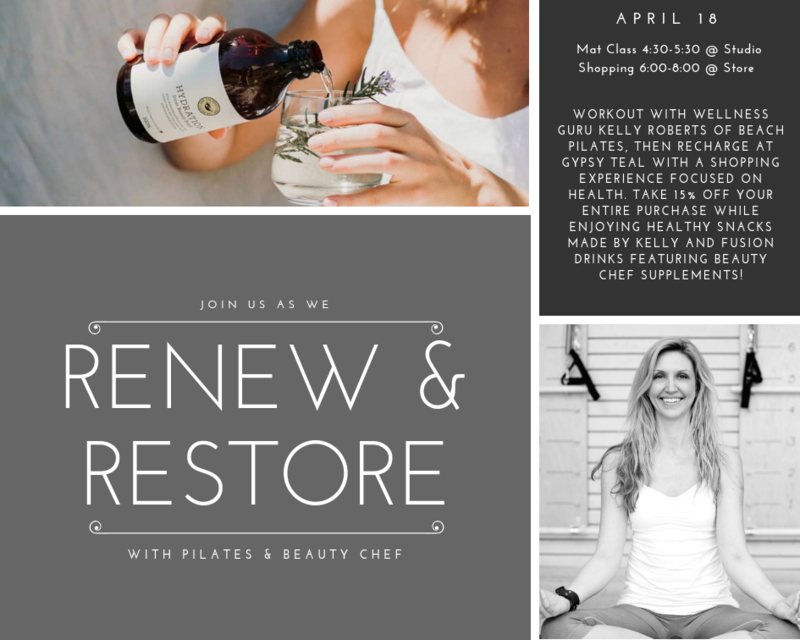 Join Jami Citrano and Certified Raw Chef, Kelly Hughes Roberts for a night of couples massage instruction and delicious healthy bites. Jami Citrano will offer partners the opportunity to learn how to give each other a massage that address common areas of tension. She will teach techniques that are effective and easy to learn. Each person will have the chance to give and receive with support in the process of learning. learn how to massage each other effectively. Couples are encouraged to dress comfortably and be ready for a fun relaxing night! Jami has been providing massages for over 14 years and has been voted Best Massage Therapist multiple times. In addition to her private practice, Jami also works at Atlantic General Hospital in the Regional Care center providing oncology massage for patients and caregivers. As a massage therapist on the Eastern Shore for over a decade, she has developed a good rapport with area doctors, chiropractors and physical therapists. Kelly Hughes Roberts, is the owner of Beach Pilates and Wellness Studio. She is a Certified Pilates Instructor, Holistic Health Coach and Raw Chef. We'll be enjoying a few of her original healthy recipes from her cookbooks. Kelly is also the owner of Kelly Hughes Roberts/Farm Foodie Fitness, an online health and wellness membership that offers 24/7 accessibility to online Pilates workouts, nutrition counseling, and a health and wellness community. Kelly is also a published author. You can check out everything she has to offer on either or her sites. Cost is $99 per couple. Space is limited. Learn exercises, understand your daily habits and what you can do to improve posture and reduce back pain to live a more pain free life. Join Beach Pilates & Wellness for a Pilates Mat class in the gardens at Good Earth Market in Ocean View, DE. Then stay after for Mimosas, Bloodies & the best brunch in town!! Holy Kale! Learn how what you consume, apply, and use in your body, on your skin, and come in contact with every day, defines your appearance, how your body functions, and how well you age. Certified Holistic Health Coach, Pilates Instructor, and Raw Chef Kelly Roberts will take you through the secrets of looking, feeling, and preserving your skin and appearance, how your body functions and provides for you on a daily basis. Learn the secrets of the trade using holistic methods for skin care, health and wellness, and weight loss and detoxification. Learn to experience the benefits of self myofascial release and help to hydrate tissue caused by poor posture or injury. Concentrating on neck, shoulders, and upper back, helping with posture and tension. Walk away with valuable exercises to use everyday. Find some inner peace and set your body and mind into a state of relaxation and calmness. Let Jess Hagy work her magic as she takes you to another place with her guided meditation and relaxation and let the world just fade away! This class is devoted to understanding yin yoga, how holding basic postures for an extended period of time transforms flexibility deeper into the connective tissue and joints. Acupressure techniques based on Chinese medicine. Learn how practicing meditation and calm enhances both flexibility and energy levels in mind and body. Kristin Quinn will be the instructor (see full bio on website). Learn to paint from a local artist! Join us for Paint Night! Grab your Girlfriends for a night of creativity. We'll have some goodies and supplies! BYO wine or beer if you want something special! $30 a person. Space is limited so make sure to sign up to guarantee your spot! We'll be painting a night scene with fire flies! !